Simply Testing licensed Test Liberation to Scottish and Southern Energy, one of the UK’s big six energy companies for regression testing of their EBS systems. SSE already had the Oracle E-Business Procure to Pay module including iProc and was in the process of implementing HR, Payroll and GL. and so could see that its regression testing task was going to increase dramatically with these new EBS modules. The 60 large P2P regression tests alone took six man weeks to run manually. 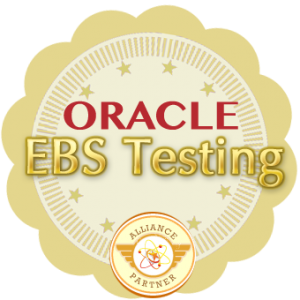 Test Liberation for Oracle-EBS was implemented and now the client can run 60 tests in six hours unattended, over-night. The test team were, at last count, up to 120 tests for P2P and HR and are now starting to build tests for GL. A six man week regression test pack reduced to six hours over-night. The client’s own, non-technical test analysts built the tests without the need to know how to program the automation tool which was QuickTest Pro. Testers were able to build their first automated tests with only one day’s training. Further training provided for more advanced functionality. Tests took on average about one day to build an automated test in Excel. The client’s test team has now run the test automation pack for over six months for many major releases with only a couple of site visits and phone support.